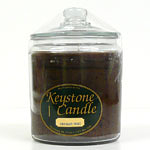 If you are looking for 3 wick jar candles this is where you want to be. 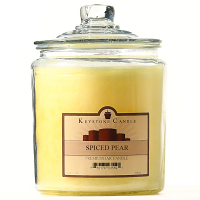 Our 3 wick candles in a jar will smell up the largest rooms in your home and most likely multiple floors. 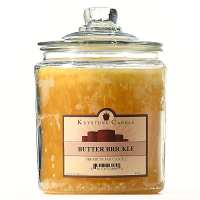 Our large jar candles create a wide scented wax pool which puts a lot of fragrance into the air at a time. 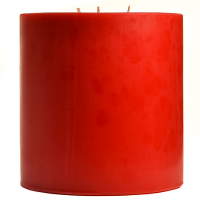 These large 3 wick candles will melt all the way to the edge of the glass and burn down to the bottom. 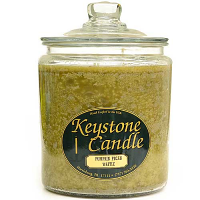 Once the candle is used up the empty glass jar can be used to store other items in your home. In addition to putting out a lot of scent, having 3 wicks burning gives off a lot of light. You can use these when the power goes out in your home to brighten up a room too. We make a white unscented jar candle with 3 wicks too for people who have fragrance allergies or want to burn candles when serving food. What a beautiful and lovely smelling candle. I have a center piece for Christmas that this candle just fit perfectly on. 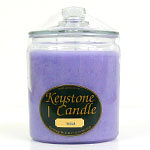 Keystone candle was quick to ship out my order, and I had it within two days. I highly recommend them.